H&M's embellished (Gucci-esque!) 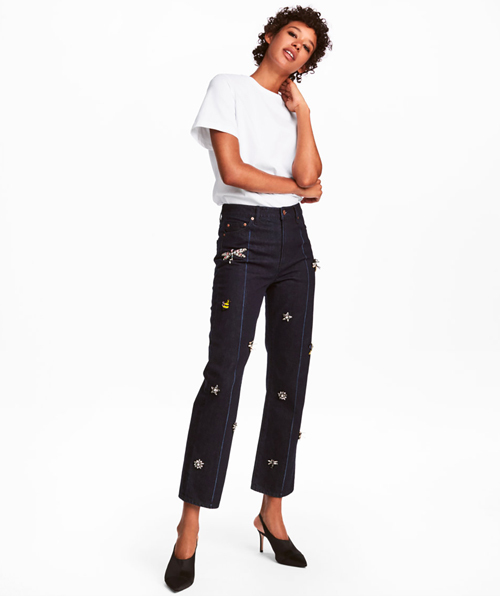 jeans are right up my playful-statement making alley. Its straight, cropped silhouette yields day to night versatility, and the price can't be beat. They'll be in my cart within the next five minutes! Many thanks!